Italian citizens voted against the referendum that would dissolve the Italian Senate on Sunday. Prime Minister Renzi has resigned as promised following the no vote. All eyes are now on the ECB meeting Thursday. 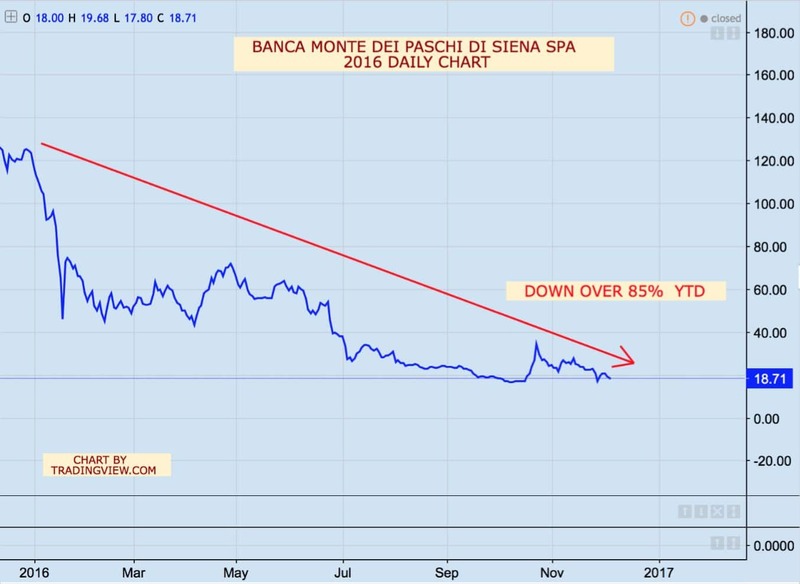 Look for comments from ECB President, Mario Draghi, that QE will include purchases of Italian bonds in an effort to aid the ailing Italian banks. 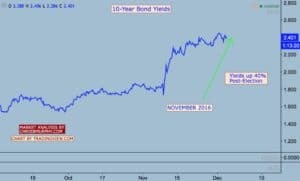 The 10-year Treasury yield surged in November on the back of the Trump election victory. 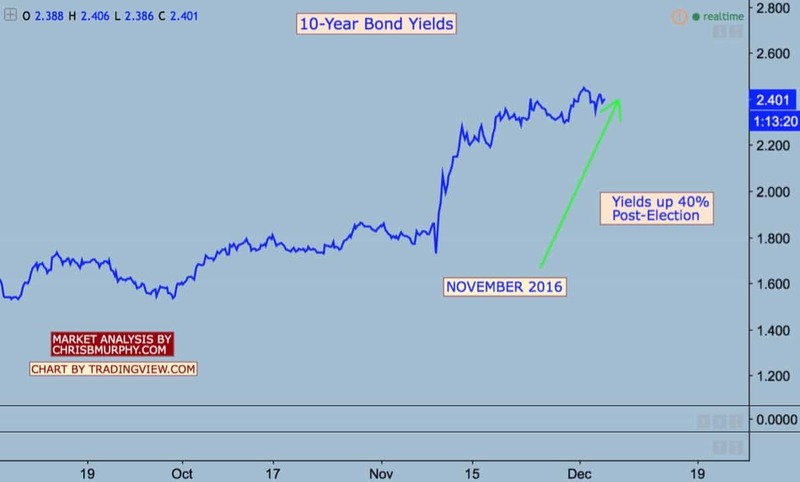 Inflation expectations have risen as a result of promsed fiscal stimulus from the President-Elect. 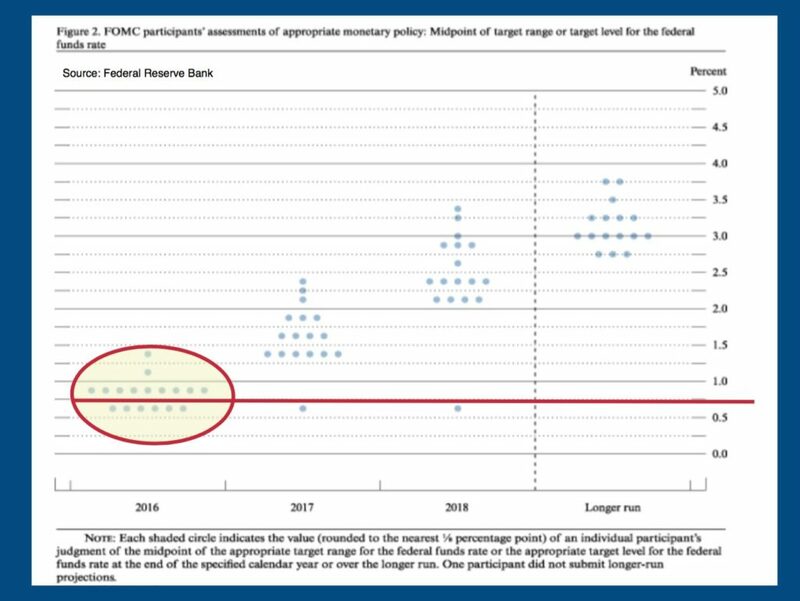 Any hint of inflation typically leads to increased rate hikes by the Fed; driving yields higher. The Fed meeting is on December 14th. Equity markets weren’t the only indices to surge in November. 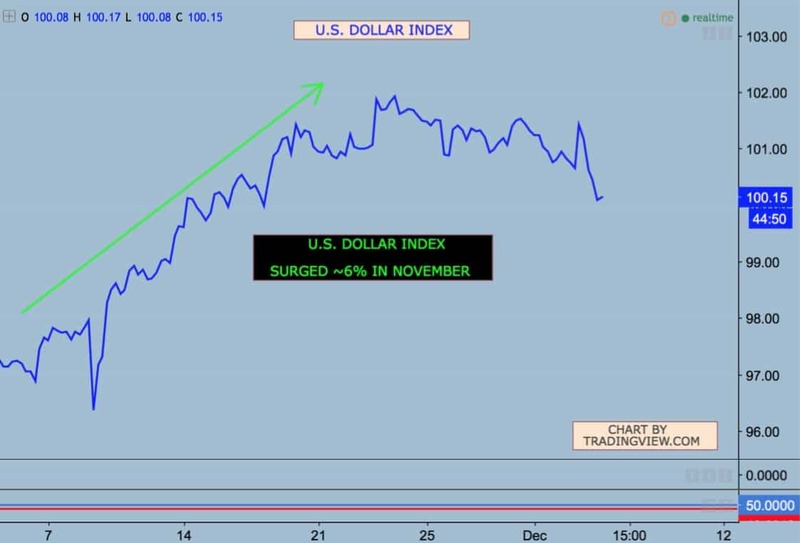 The dollar rose almost 6% in a month before retreating in early December. 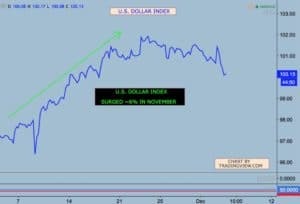 With the anticipation of a Fed hike on December 14th, the dollar has attracted investment flows as is typical for a country with higher yields. 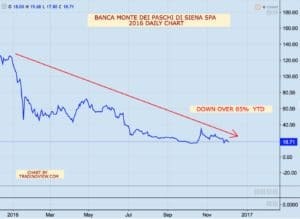 Banks are benefitting from the recent surge in bond yields. 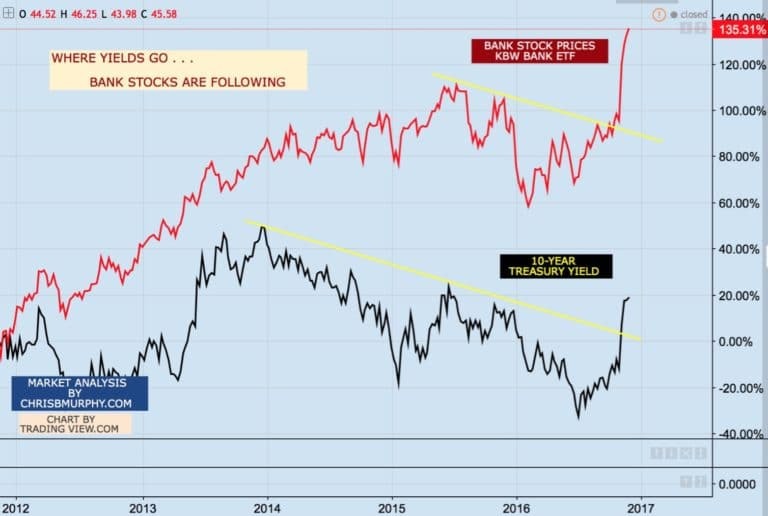 Historical analysis shows that as yields rise and fall, so too, do bank earnings and stock prices. In this analysis you’ll find what’s moving yields and banks and what are the risks that lie ahead. 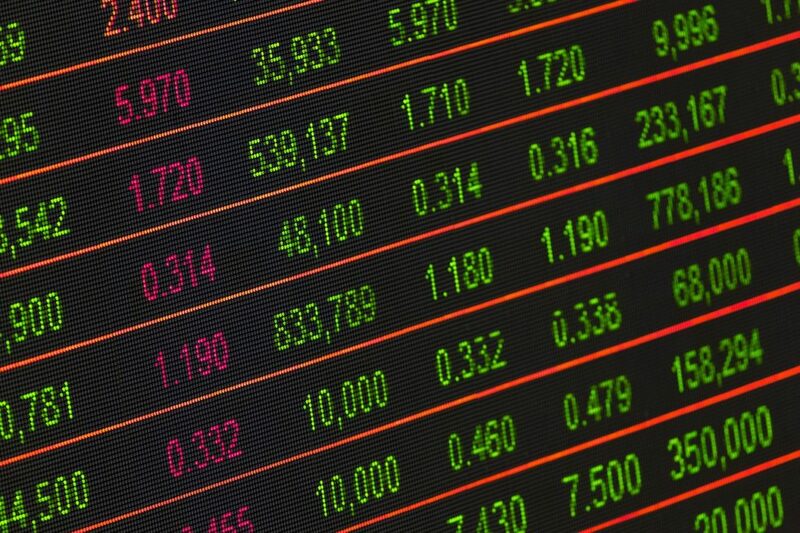 With the summer now over, the market is turning the page to the economic events leading up to year-end. One of those key events will be the Fed meeting in September. As a result, the S&P 500 is beginning to show signs of fading momentum on the long-term charts. 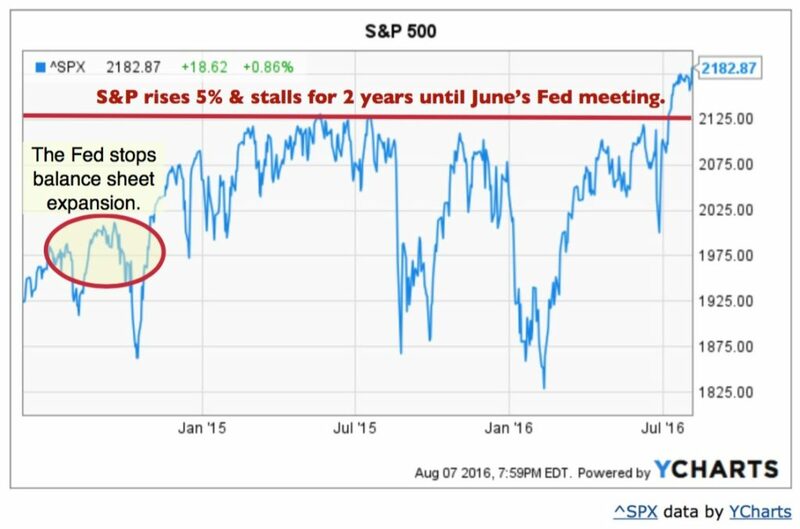 If you recall, the S&P surged following the Fed’s June meeting . . . The Dow has surged to all-time highs following the Trump surprise victory. 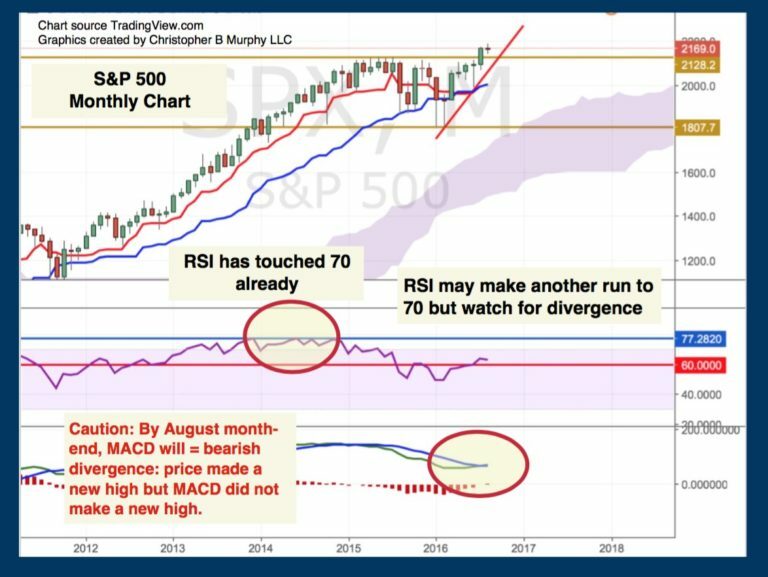 However, MACD momentum is waning and RSI may have a lower high for the month of November. Here are the key levels and risks to watch out for. The surprise election of Donald Trump has sent equities surging over 6% to all-time highs. 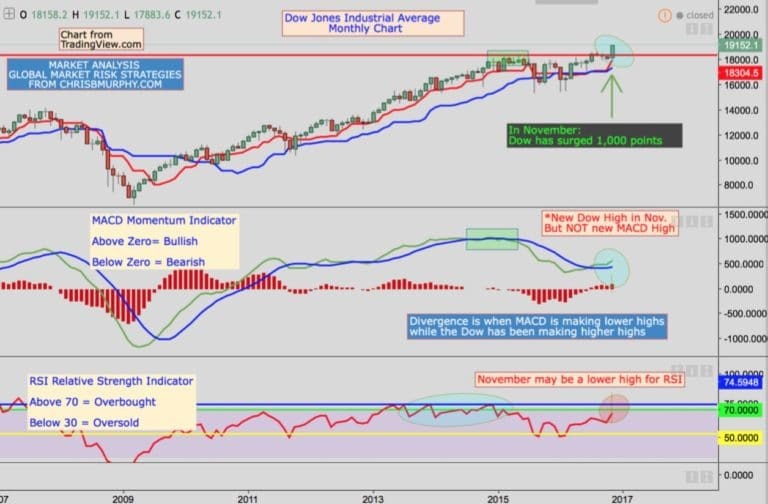 In this video, you’ll find out why Wall Street is reacting so favorably, as well as technical analysis of the charts highlighting the risks to this latest surge in the Dow Jones. .
With OPEC agreeing to production cuts, crude oil has surged. However, both Russia and Saudi Arabia increased production over the last few months leading up to the meeting. 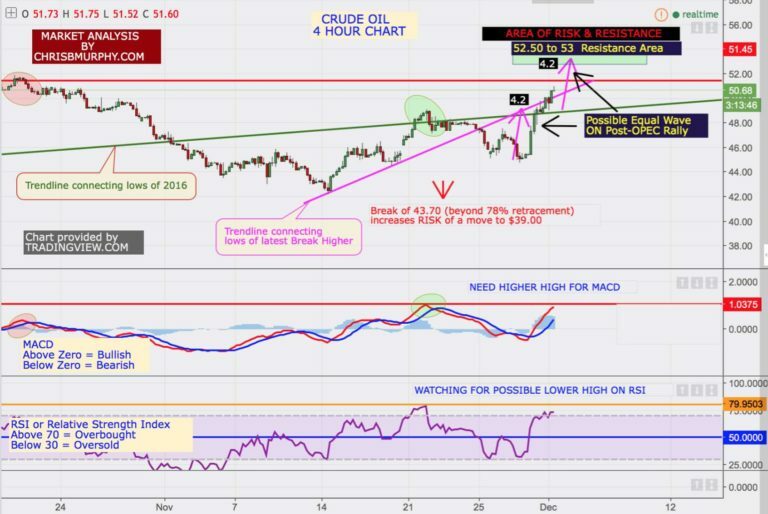 In this article is a technical analysis of where the next area or resistance and risk lies for crude oil. 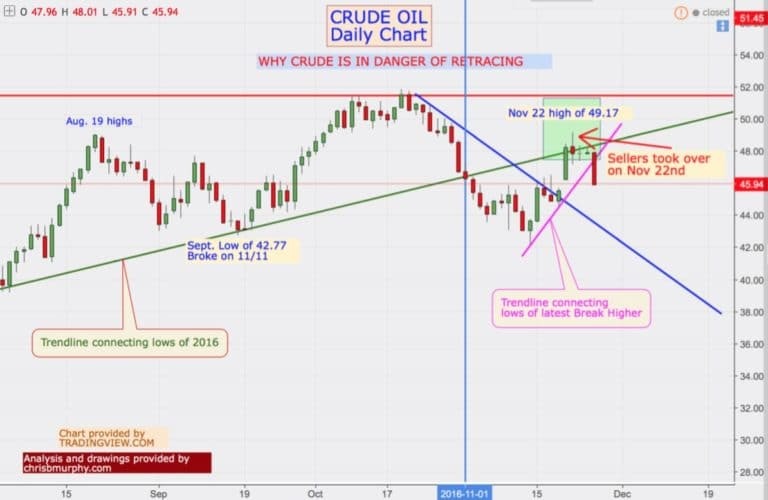 Crude oil broke the trendline connecting the 2016 lows and momentum indicators indicate a possible bearish move. If oil breaks $43.70 and holds below, we may have further risk to the downside with $39 possible. All eyes are on the OPEC meeting where productions cuts are being discussed. 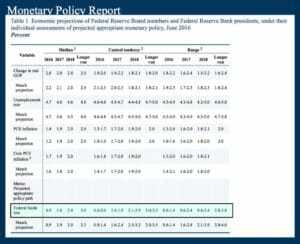 THE FED’S BALANCE SHEET IS THE CANARY IN THE COAL MINE. ALL RIGHTS RESERVED. © 2016 COPYRIGHT.